The Zoom Elite 8 dons dots. Nike's been more and more willing to give graphic looks to running shoes lately – one need look no further than the "Photosynthesis" Nike Running pack for evidence. 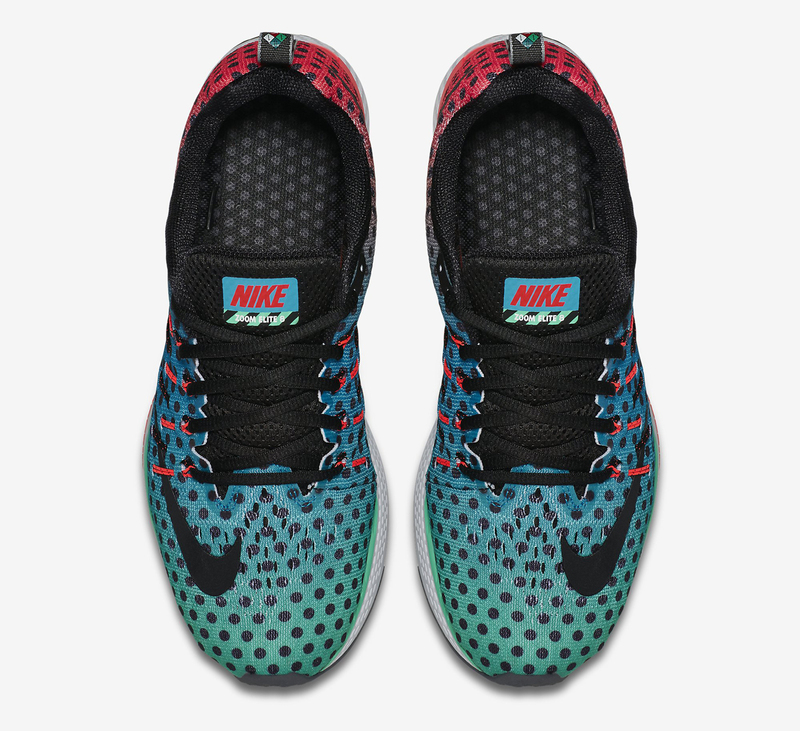 They're at it again with this, the Nike Zoom Elite 8, which gets a colorful gradient across its upper and some black polka dots on top. The pair pictured here is the men's version of the shoe, but there's an identical one in women's sizes coming this month too. 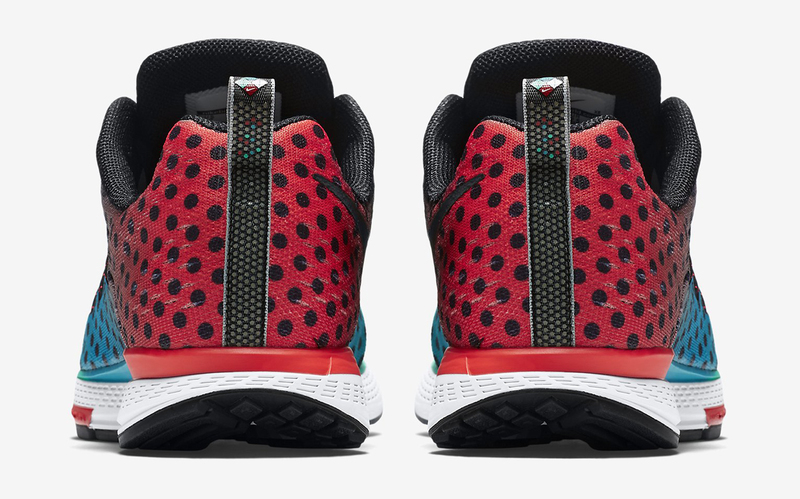 The sneaker release date for the "Polka Dot" Nike Zoom Elite 8 is Aug. 30. 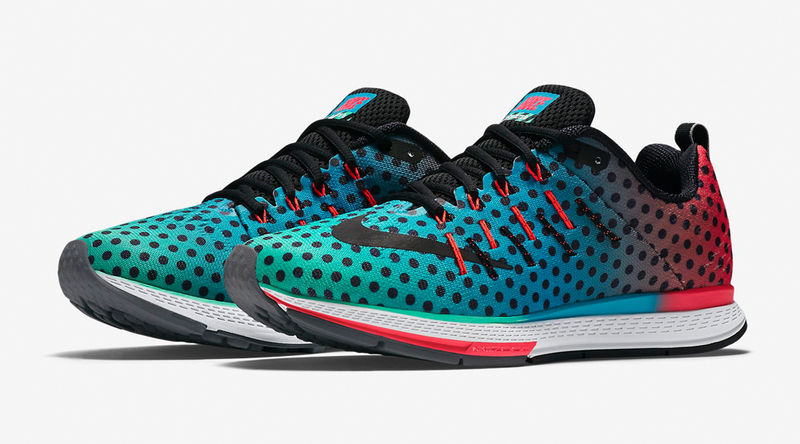 Nike Zoom Elite 8 "Polka Dots"